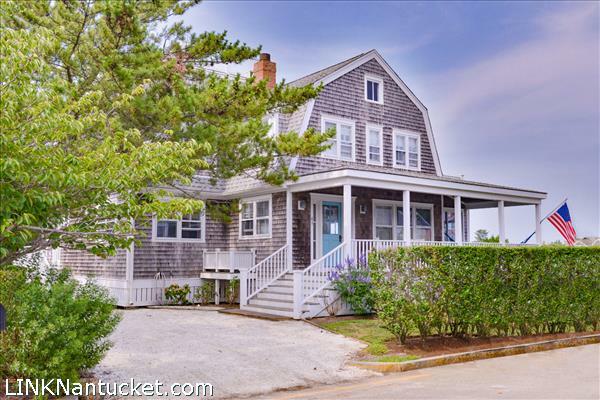 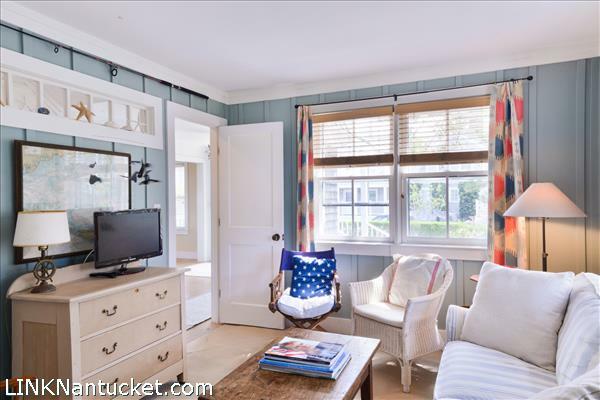 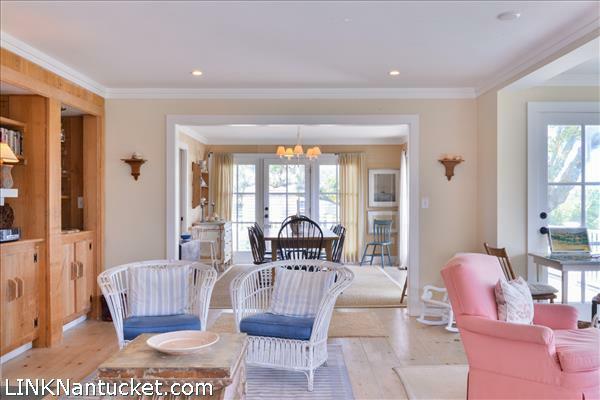 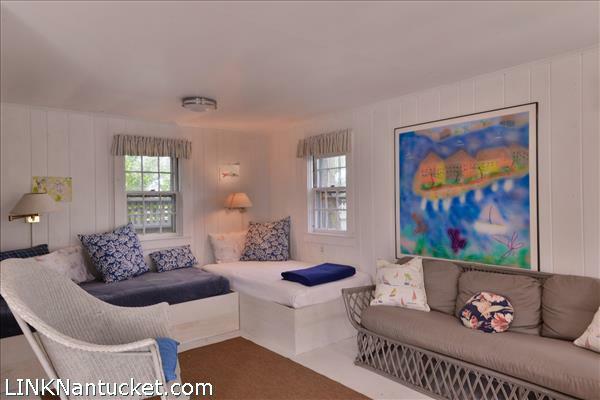 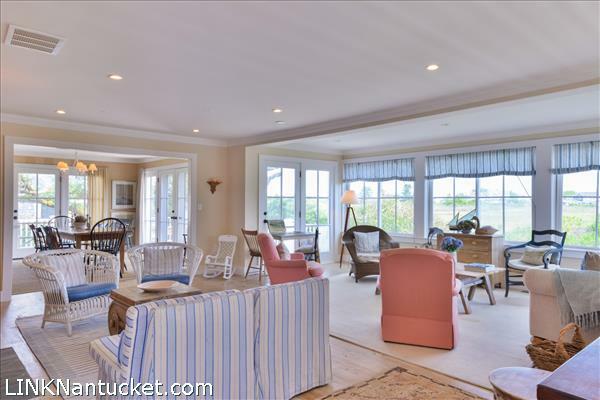 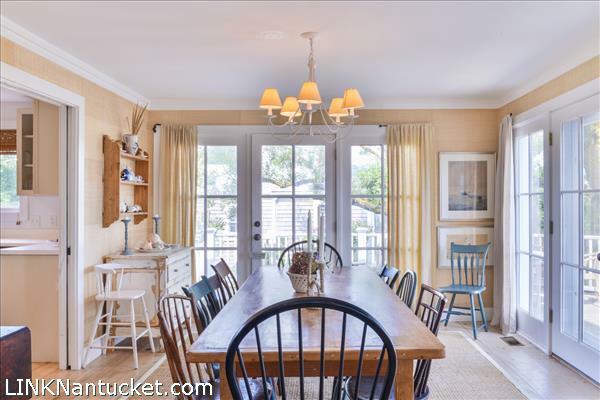 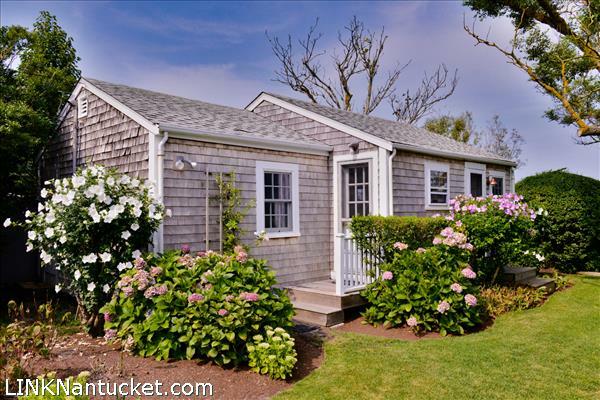 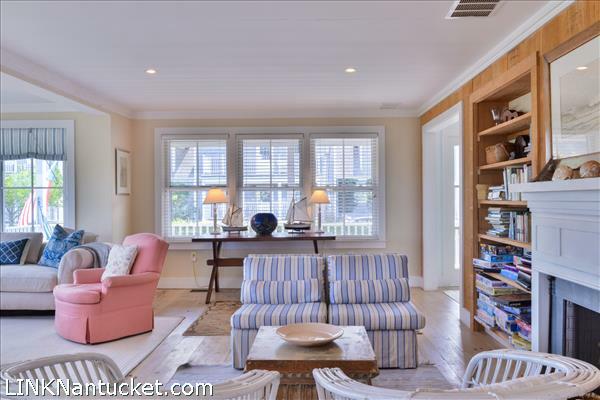 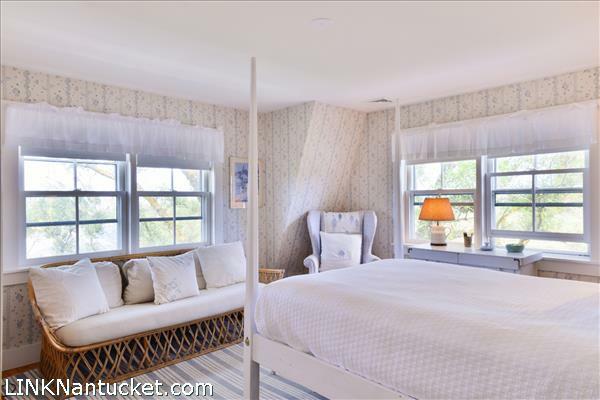 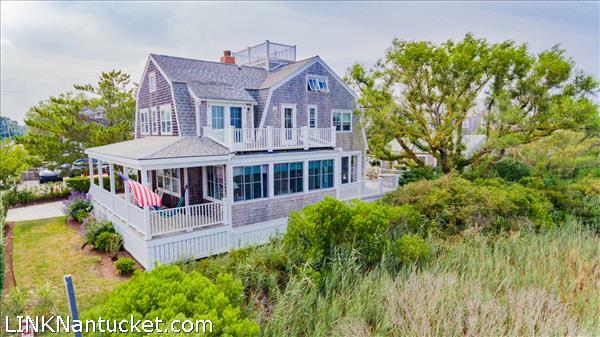 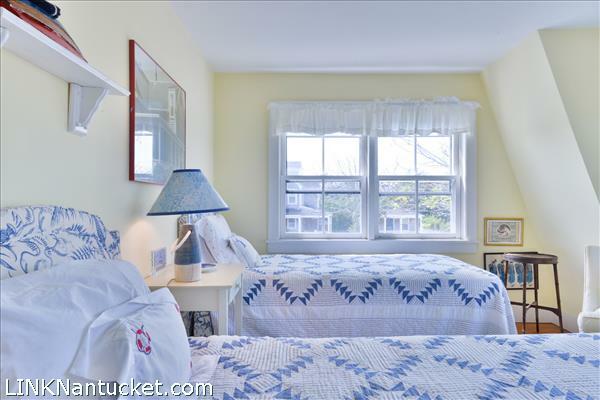 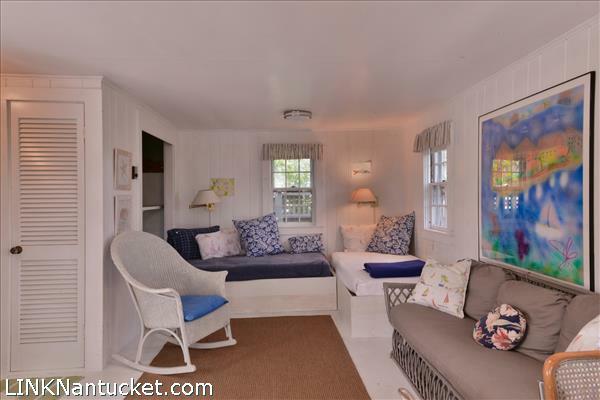 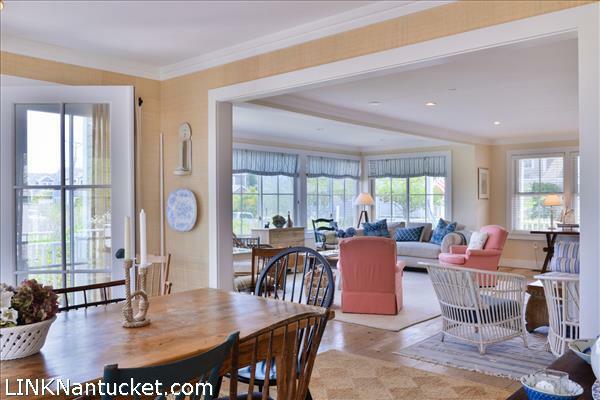 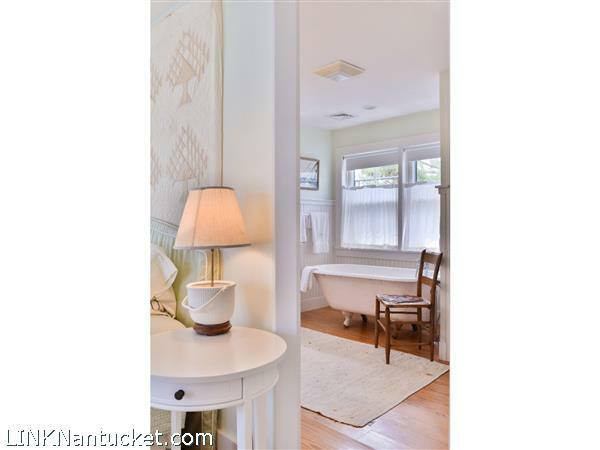 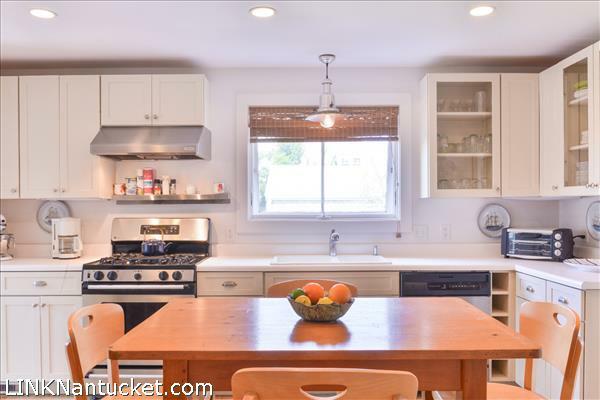 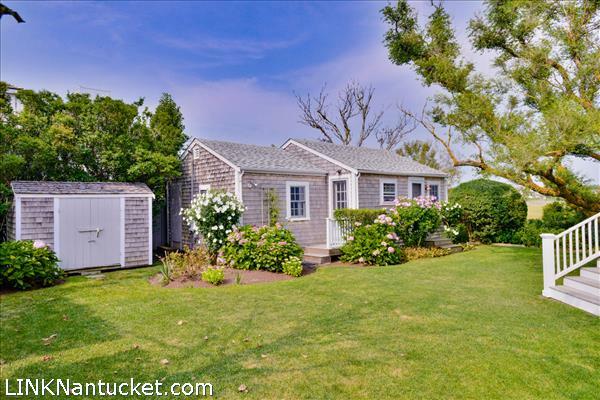 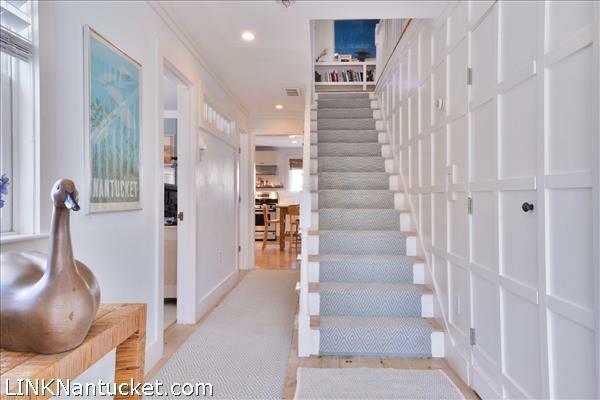 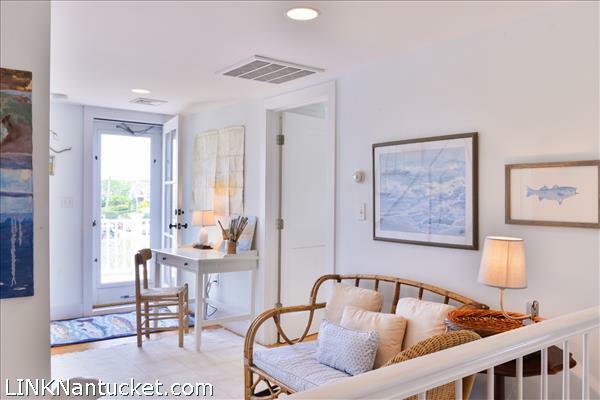 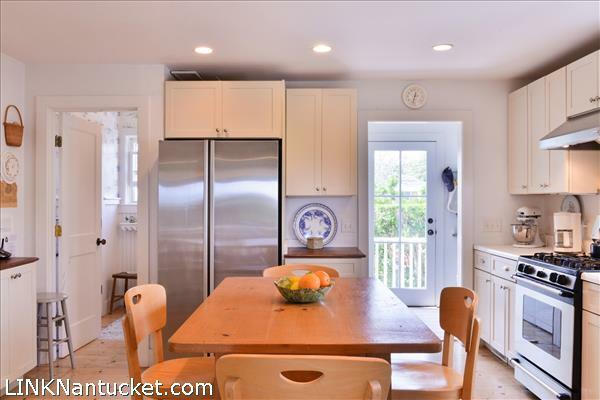 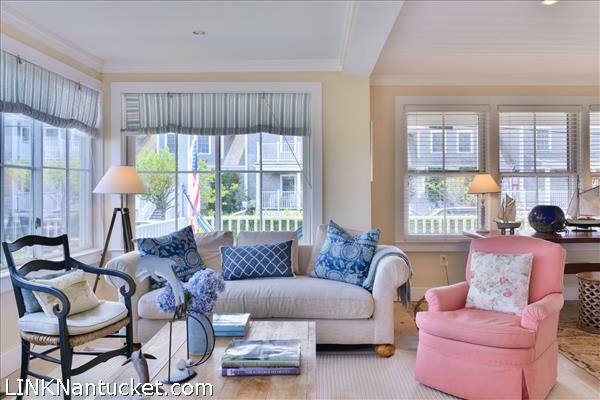 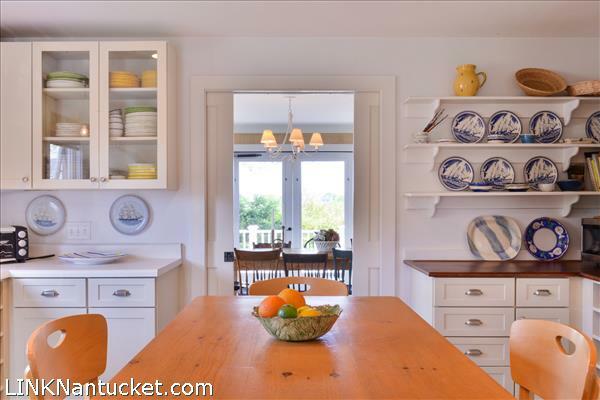 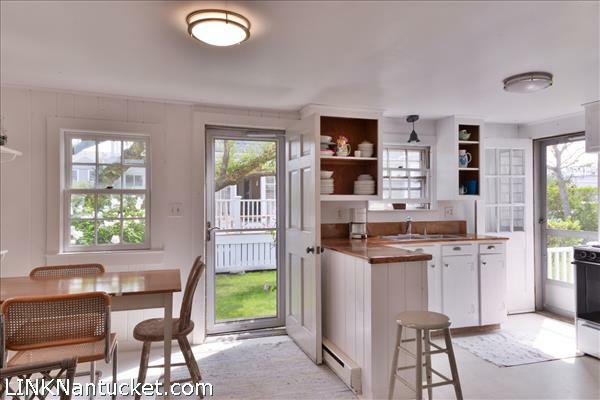 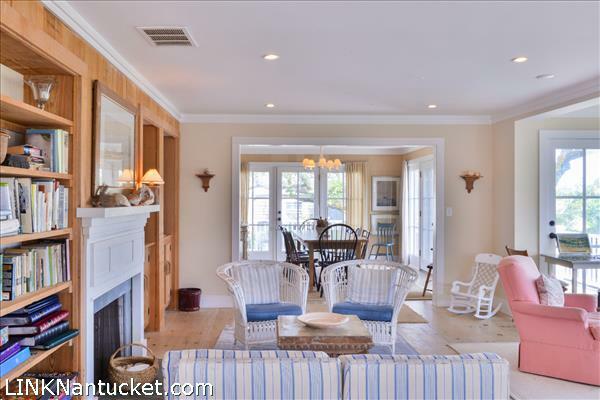 A bright, sunny and open Brant Point Nantucket house with lovely front and back porches and a two bedroom cottage. 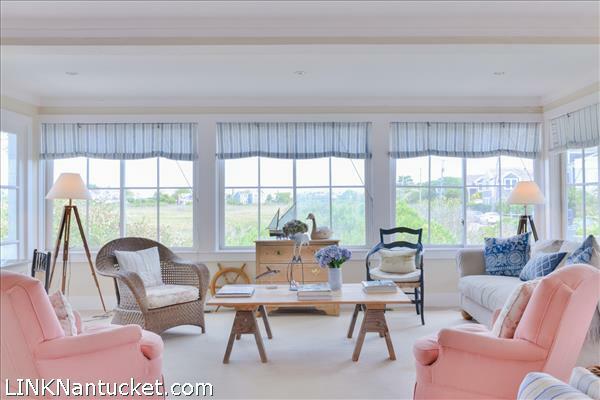 The front hall opens to a living room, which has a wall of windows offering expansive views of four-acres of conservation land. 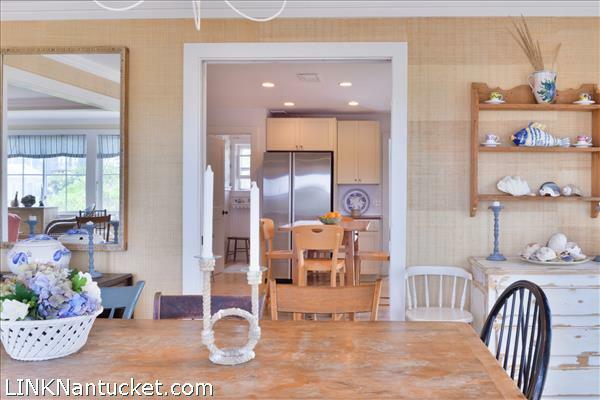 There is a pretty dining room and an adjacent kitchen and a cozy library off the hall. 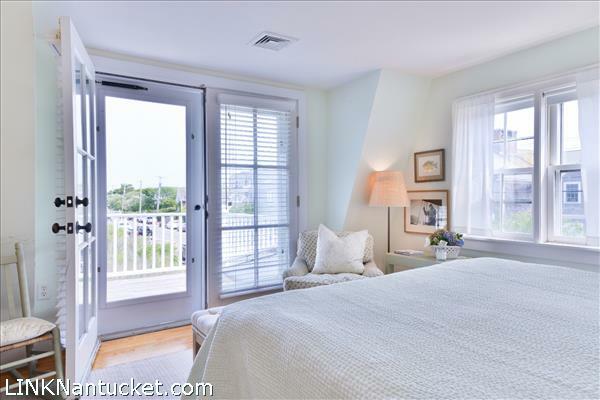 There are four bedrooms on the second floor; one has a small sitting room and balcony and shares a bath with a second bedroom. 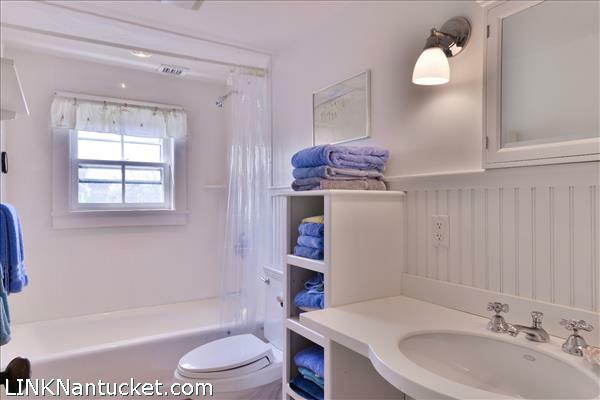 The master bedroom has a large bathroom, as does the fourth bedroom. 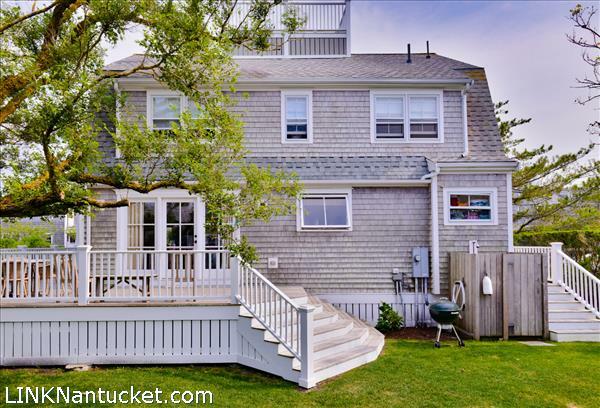 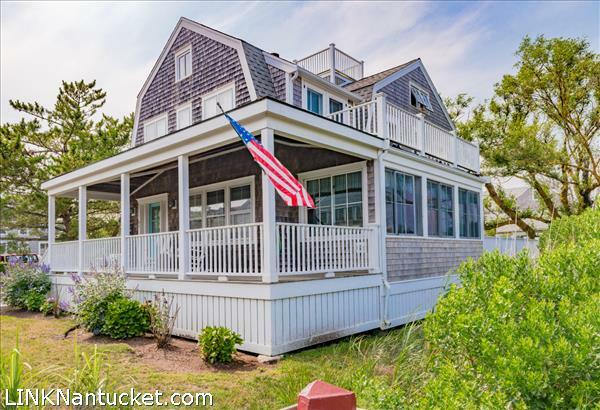 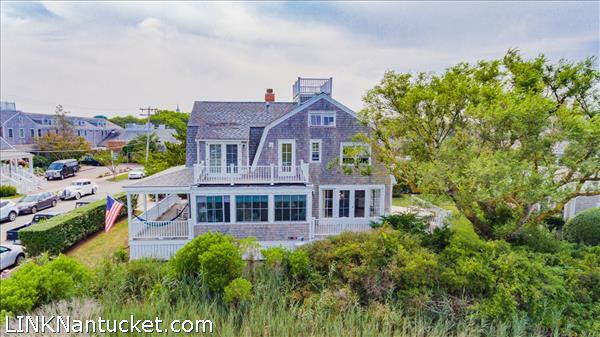 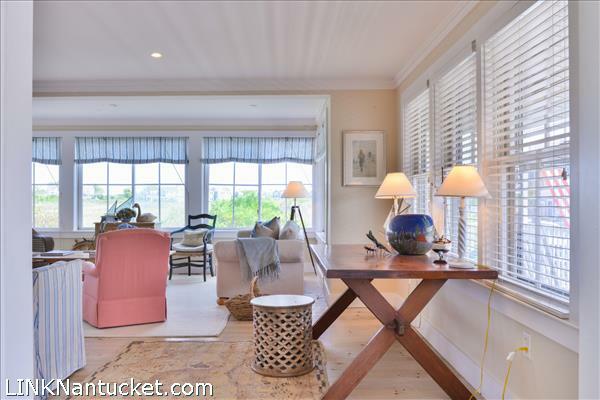 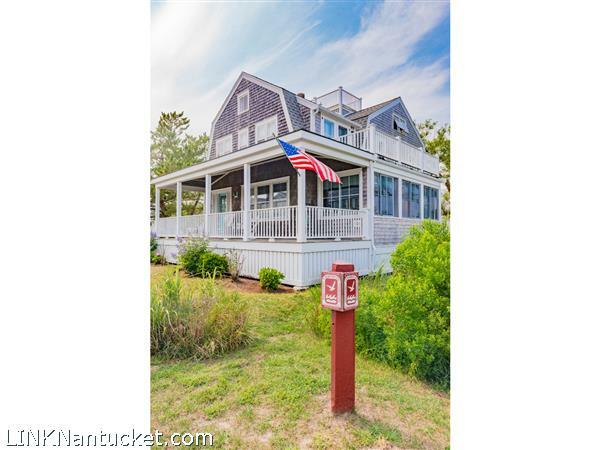 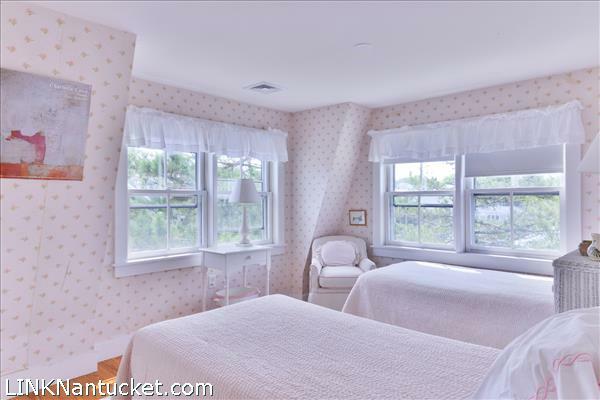 This home also features a widow’s walk with water views and perfect for watching the Fourth of July fireworks or the Boston Pops concert at Jetties Beach. 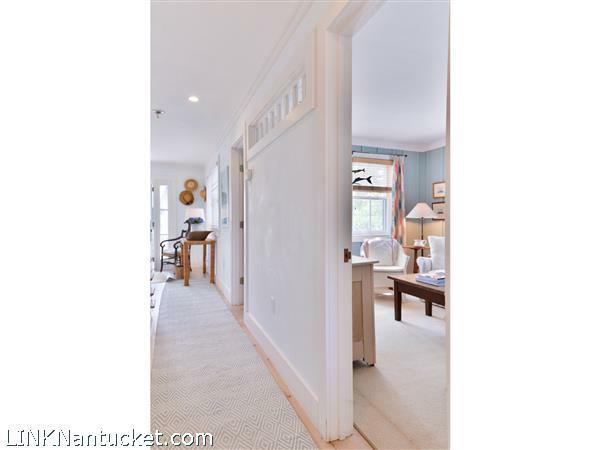 First Floor: Covered front porch leads a spacious living room with a fireplace and a bank of windows overlooking a sunny field. 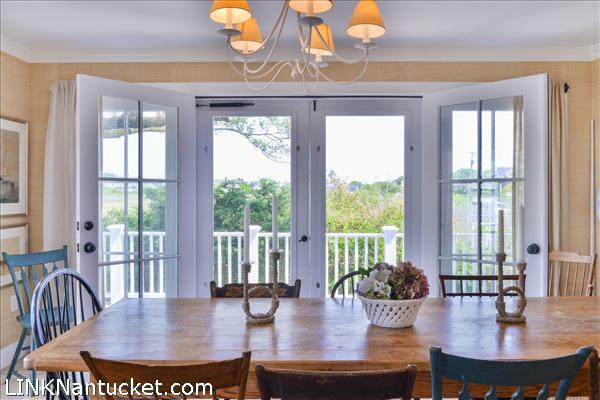 Dining room with views of the field. 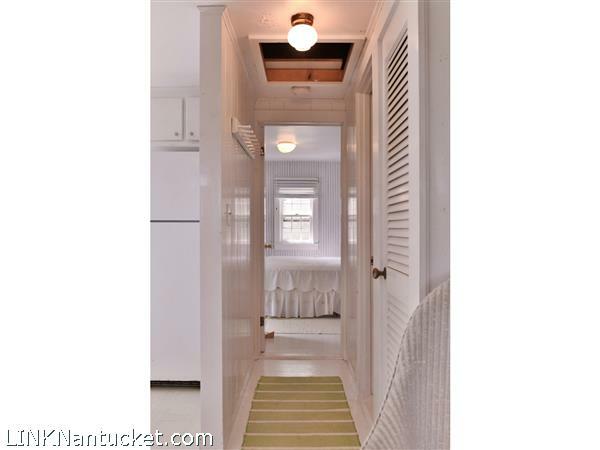 Mudroom off the side entryway leads to the kitchen. 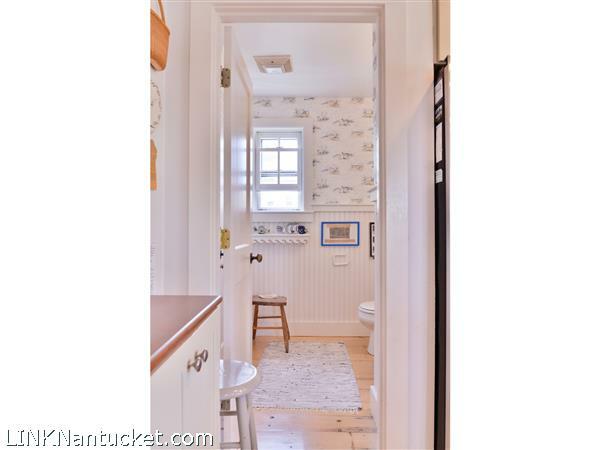 Powder room off the kitchen. 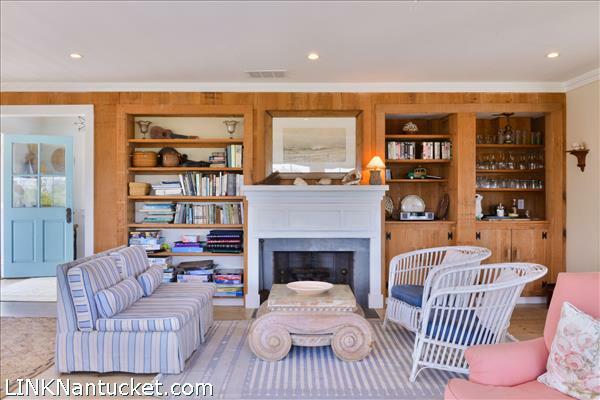 Cozy library off the hall with door to the powder room. 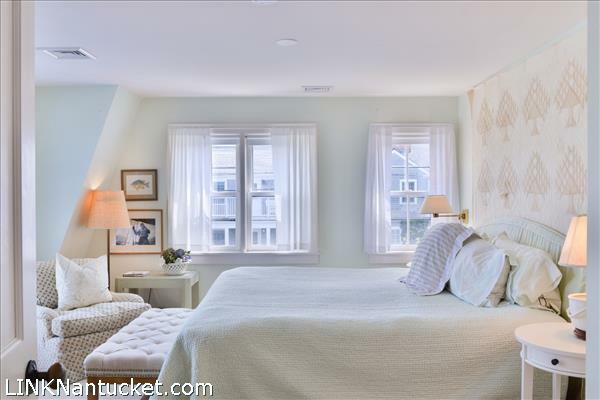 Second Floor: There are four bedrooms on the second floor; one has a small sitting room and balcony and shares a bath with a second bedroom. 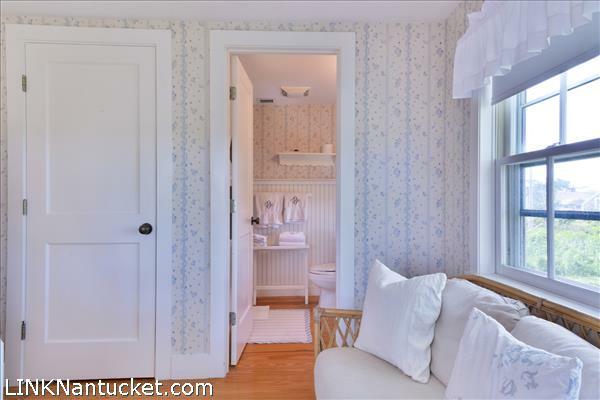 The master bedroom has a large bathroom with a door to the deck overlooking the field. 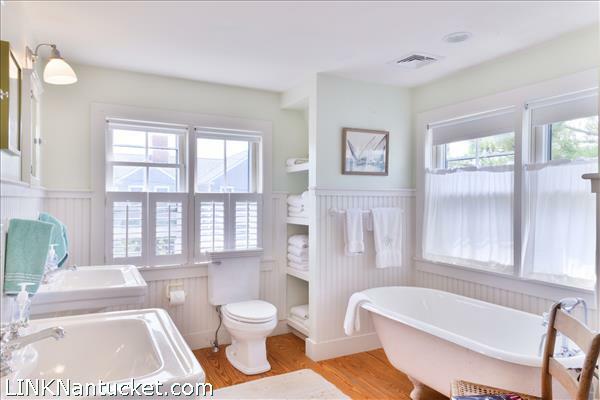 The fourth bedroom has a private bath. 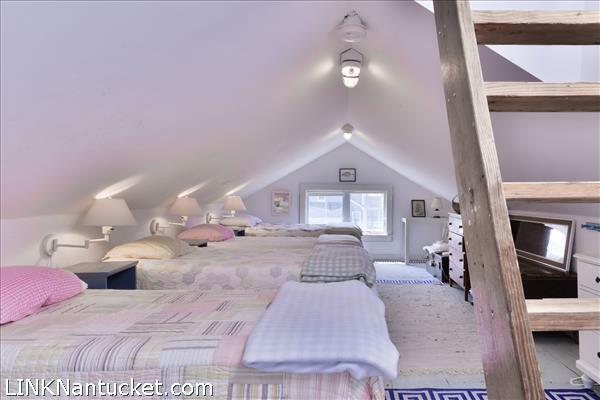 Third Floor: Full stair from the second floor leads to a great overflow sleeping area with a skylight and access to the roof walk.